Reports of elephant poaching in Botswana are under the spotlight with various claims in national and international media that the current adverse situation is driven by anti-poaching budget cuts, disarming of anti-poaching units, poachers being spoilt for choice with wildlife finding a safe-haven in the country, and even the trophy hunting ban. There is no doubt that these factors play some part in the rising elephant poaching incidents in Botswana. 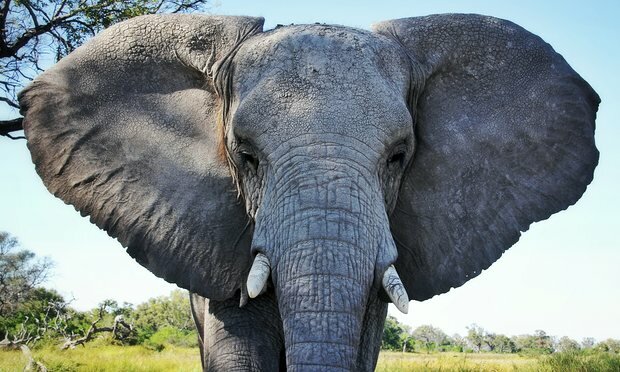 However, wildlife poaching, and in particular the poaching of elephants, is not unique to Botswana and has significantly reduced elephant populations across the African continent. In 2014, conservationists raised concerns that the poaching syndicates decimating the East and Central African elephant populations, would move further south making southern Africa their next target. At that time, Elephants Without Border (EWB) noted increased poaching incidents in northern Botswana, the Caprivi Strip in Namibia, southeast Angola, and Zambia during their aerial wildlife surveys. Botswana’s elephant population has however been stable for the last 15 years at around 130 000, which is testament to the country’s excellent conservation record. Nevertheless, the number of poaching incidents has been on the increase, which was confirmed by the 87 elephant carcasses recorded during the ongoing EWB aerial wildlife survey that started in July this year. The Botswana government disagrees with these recorded poaching incidents and requested a report from the Ministry of Environment, Natural Resources Conservation and Tourism on the extent of the recent elephant killings. Dr Unity Dow (Botswana Minister of International Affairs and Cooperation) stated in a press conference in Gaborone earlier this week that the report was expected “to shed light on the major causes of death regarding the alleged massacre and assist government on making an informed decision on how best to clear the confusion and set the record straight”. No further announcements on the report have been made by the Botswana government so far. Recent media claims that this could be directly attributed to the disarming of the Department of Wildlife and National Parks (DWNP) anti-poaching unit of automatic weapons is nebulous. This relatively small DWNP team is still armed with rifles and has always been and still is supported by a much larger and fully armed anti-poaching units from the Botswana Defence Force (BDF). In a media statement, Thato Y. Raphaka (Permanent Secretary of the Ministry of Environment, Natural Resources Conservation and Tourism) said “that withdrawing weapons from DWNP is in line with the existing legislation, which does not allow the DWNP to own such weapons”. Dr Dow added in the press conference that “the call should have been to expand the army, making sure there are more army officers to ensure greater safety against poaching instead of calling to rearm the DWNP”. However Minister of Environment, Natural Resources Conservation and Tourism, Tshekedi Khama, believes that “there is no doubt the disarming of the Anti-Poaching Unit (APU) could have contributed to the high rates of poaching in the Chobe area”. The safari tourism industry plays a vital role in Botswana’s economy, nature conservation and community development, and the country has always been a leader in eco-tourism. Many safari operators provide regular on the ground intelligence to the DWNP. The industry will however need to step up to the task in assisting the BDF and the DWNP in their anti-poaching efforts to counter the poaching tsunami that has started to target Southern Africa’s great elephant herds. Examples of this are emerging in northern Botswana, where a poaching awareness group made up from a number of competing, but concerned safari operators and concessionaires has been established by the private sector to assist the authorities more effectively. Derek de la Harpe (Commercial Director – Wilderness Safaris) says “although we do not have authority to conduct any law enforcement operations, we will continue to cooperate with the responsible authorities and to provide any support that they feel is appropriate, if and when incidents do occur”. 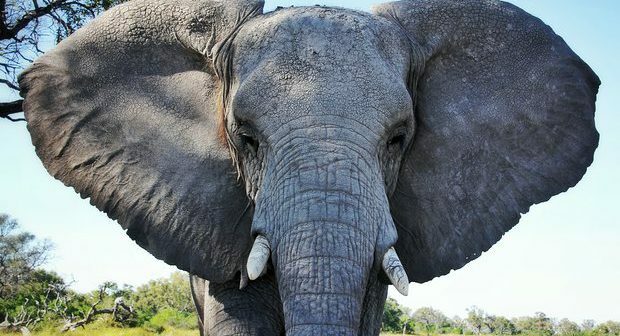 Some stakeholders believe that Botswana needs the political will to (re-)allocate vacant concessions in Ngamiland, around the Okavango Delta and along the boundaries of Chobe National Park, which could aid in curbing the surge in wildlife poaching. “Some of these more remote, marginal concessions would require a new type of non-consumptive wildlife tourism operation. And with vision, time and money they could potentially work for self-drive routes, mobile safaris, waterhole wildlife viewing and for tourists who looking for space – the new luxury in today’s busy world”, says Colin Bell (Director – Natural Selection). The development of now vacant concessions would not only bring additional tourism revenue for the Botswana government through VAT and resources royalty payments, but would also create employment for local communities. In terms of the poaching crisis, it would mean more eyes and ears on the ground and traversing safari vehicles in large areas currently devoid of people, where poachers now have free rein. One of these early warning signs seems to be a worrying trend in Botswana’s elephant poaching incidents, where the vast majority of the casualties are large 70+ pound ivory bulls that are seemingly being tracked and shot to order by the criminal syndicates. “We have seen how effective responses from governments and the tourism and conservation sectors working together can have significant impacts. Kenya is a great example and look at what organizations such as African Parks and the PAMS Foundation have achieved. If any country is going to be able to stem poaching, it should be Botswana as they have a great conservation record, a vibrant ecotourism sector and to date, a willing and committed government”, Michler concludes. Next Article Do test tube lions help conserve wild lions?